Every so often you come across a story that represents what we believe and how interconnected our lives truly are. The story of Rachel Mbula is one of those stories. Rachel’s late father founded the Sons of Manase Children’s Home, which is the second Kenyan orphanage that Moja Tu works with. When Rachel’s ailing father realized he was not in a position to sufficiently care for his daughter he sent her to Tania Integrated Centre to finish her primary education. She was at Tania when her father succumbed and passed away in 2014. 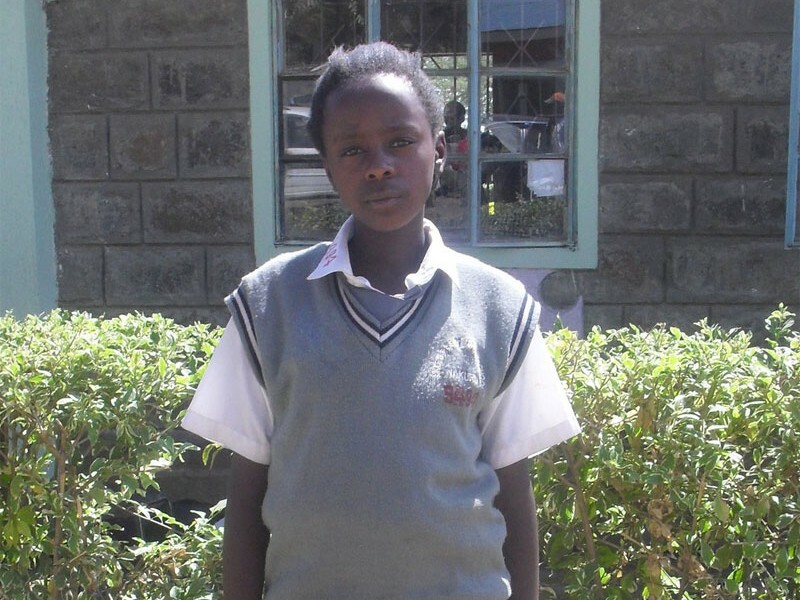 After completing her primary school education Rachel took the Kenya National Exam and scored so well that she was accepted into one of the top schools, Nakuru/Anestar Precious Girls High School. It was also at this time that Rachel’s dreams came true and one of Moja Tu’s generous friends told her that she would be sponsoring her and she could continue her eduction in secondary school. So, this past February, Rachel started her secondary school education and continued her dream. To say that she has adapted to the new school environment is quite the understatement. Rachel is not only one of the top performing students in her class but she’s also become one of her teacher’s favorites by always being “cheerful and inquisitive”. Her favorite subject is English and she is making sure to read a book beyond her curriculum books to improve on both her written and spoken English skills. She takes her studies seriously and she looks forward to the end of term examination to see her efforts. It’s also great to see how Rachel learned from her parents as she has helped start a study group for her and her friends. While at school they have school-wide evening study prep until 9pm, but after that Rachel and her study group meet for another hour to continue studying. This strategy will, we’re sure, help her continue her academic excellence! Rachel knows and appreciates that her mother, after the tragic passing of her father, would not have been in a position to pay her secondary school fees and she is grateful for the sponsorship from Moja Tu. She is without words on the generosity of her sponsor in providing for her this opportunity to continue her education. We wish Rachel all the best and know that she will continue her hard work over the next four years!